The end of the year is a perfect time to show your corporate clients how much they mean to you. A thoughtful gift goes a long way and makes a big difference to the general business dynamic. Christmas offers the great opportunity for you and your company to deliver your words of gratitude. With our hectic schedules and extensive planning, sometimes we forget the true meaning of Christmas. Here at Gift Hampers Singapore, we know what an important time Christmas is for you and your loved ones. 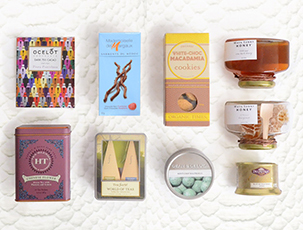 After doing some research, our staff handpicked the finest quality items and packed them together for our wide selection of luxury Christmas hampers. Not only could you delight your family and friends with one of these, but you could also use them as corporate gifts to show how much you care. Get ready for a fabulous festival of fear and fun! Taking place on October 31st, Halloween is just around the corner and it’s the perfect time for you to get creative. Welcome to our era – a time of health awareness. Leading a healthy lifestyle and having a healthy diet is all the rage these days. Flip open a magazine or scroll down your Instagram feed and you’re bound to find something related to health. It’s become a trend, and there is a good reason why that is the case. Celebrating Mid-Autumn Festival in Singapore has always been a wonderfully memorable event. Taking place this September 24th, the festival marks the end of the autumn harvest and depicts the time of the year where the moon is at its brightest. 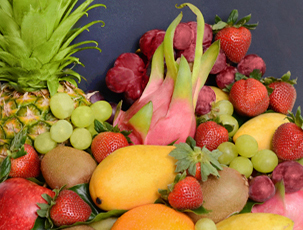 Why you should send a fruit hamper?